This was my sister's and since we shared a bedroom it was on our dresser. 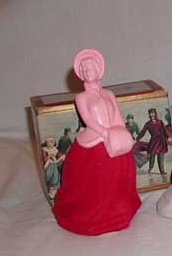 The skirt part was flocked material and it was a really nice bottle. My older sister's boyfriend gave it to her one Christmas. My brother used to borrow Tintin books from the library all the time. I used to read them too, I wasn't that interested in them but I read everything when I was growing up. 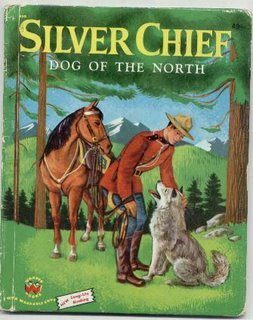 I remember these two covers. 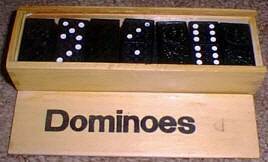 My sister owned these wooden dominoes in a wooden case. I don't remember playing with them a lot, maybe we didn't know the rules. 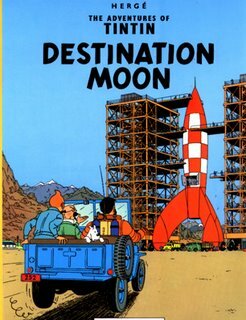 This was my younger brother's and I remember some of the inventions. 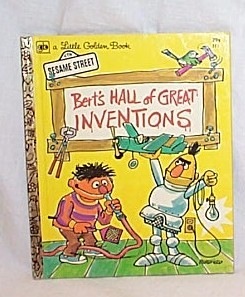 Bert would show Ernie a great invention and Ernie would tell him it already existed (in nature, such as an armadillo having a built in "suit of armour" or a cow having a fly swatter - his tail). 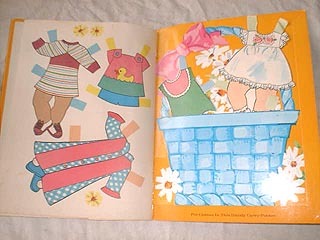 Why can I remember a story book from my childhood but I can't remember what I need at the grocery store? 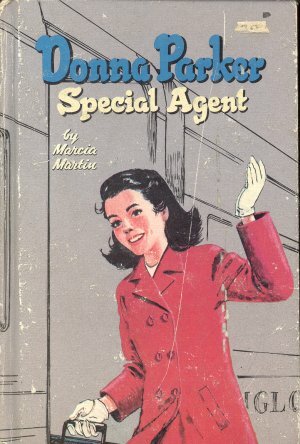 My older sister had these 2 Donna Parker books and of course I read them several times. 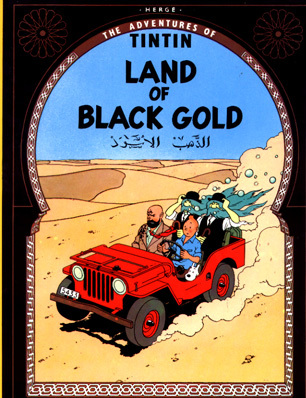 I remember the story line of "Mystery at Arawak" but not the other one. 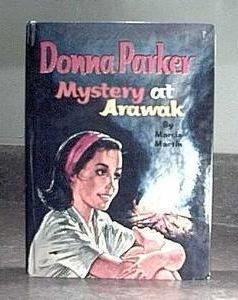 Donna Parker was sort of like Nancy Drew. I was in junior high school when I got this for Christmas one year. 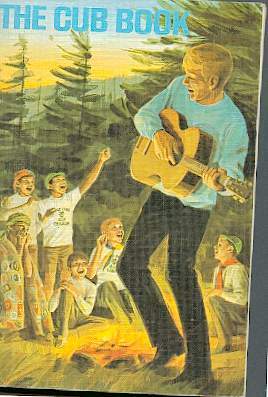 I doubt teenagers would be satisfied with a jigsaw puzzle these days but I liked it. 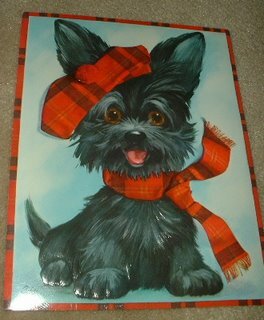 I think my younger brother got this card for his birthday one year, it was big (about 8x10) and my Aunt Lucy probably gave it to him. I remember getting a big card from her one year as well. 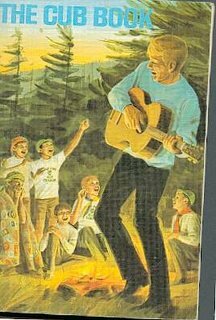 I think for a while this was on the wall in his bedroom. 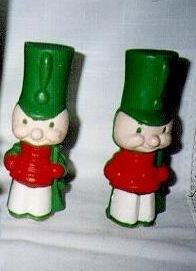 Mom kept these in the cupboard above the fridge but they were only used when we had company. 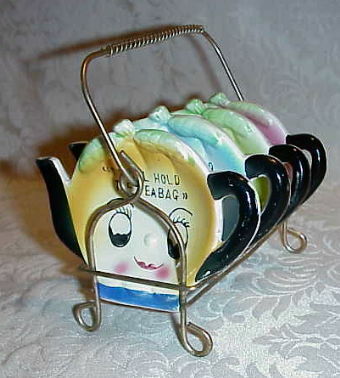 They had writing on them saying "I will hold the teabag". I think we could have figured out what they were for even without the words. Both of my brothers were boy scouts, this book was on the closet shelf in their bedroom and we liked reading it. 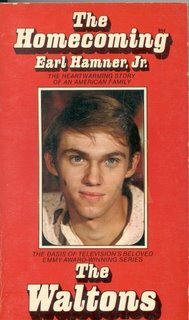 I think we read everything in the house, including the encyclopedias and the dictionary. 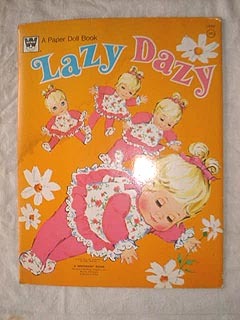 My sister also had the Lazy Dazy cutouts, see yesterday's post for more info on Lazy Dazy. 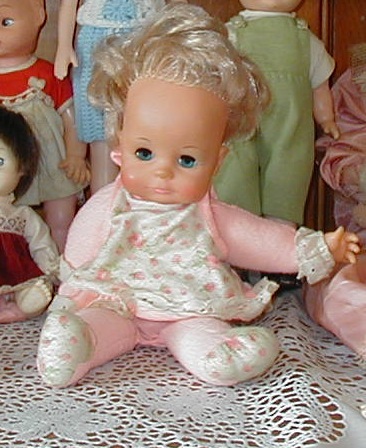 My sister had this doll, I think she got it for Christmas one year. Looking back on it, I don't think this doll would be sold today. You had to spank Lazy Dazy on the bottom, sit her down, then she would fall asleep. Child abuse!! :) I found the commercial on YouTube, I am posting that as well. This was my younger brother's but we all had fun playing with it. 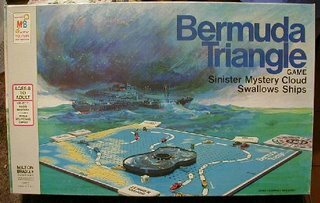 This was my younger brother's game, my older brother brought it back to him from the US when he went there with my aunt and uncle. You had little ships with magnets on top of them and when you rolled the dice you had to move the cloud over the board. If your ship was in the way it got sucked up into the cloud (the cloud had a large magnet on the underside). It was a cute game. 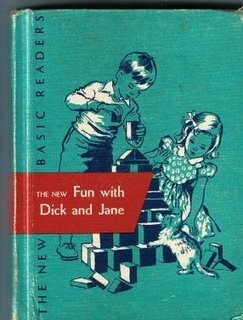 I never used this book in school, I'm too young for that, but my older sister did and this was around the house when I was growing up (back then I guess you got to keep your textbooks). My sister had this alligator brush and a matching comb. I think she got it for her birthday one year and I think it came from Avon. 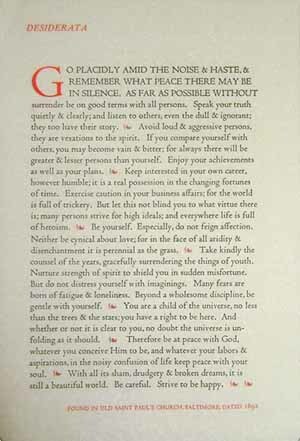 I had this parchment poster on my wall when I was in high school. 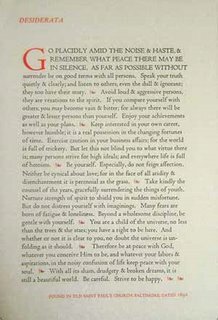 I don't know where I got it, probably from one of my older sisters. 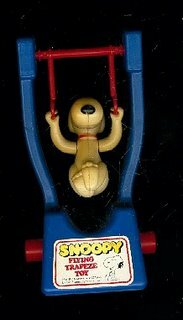 This is one of the few things I bought on eBay. My brother owned it when he was small, it was one of his favourite books. 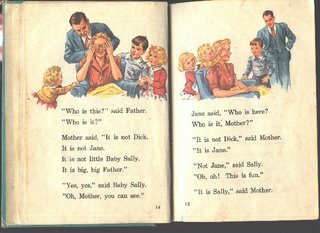 When he had a son I bought it for him. I don't remember reading this book but it was in my brother's closet. 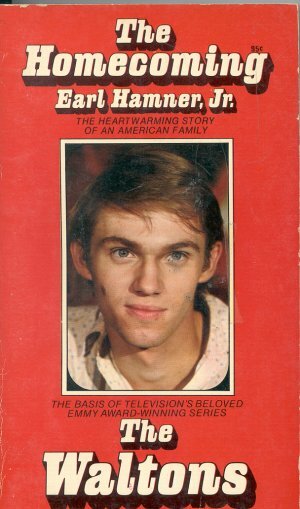 I do remember watching The Walton's every Sunday night though. 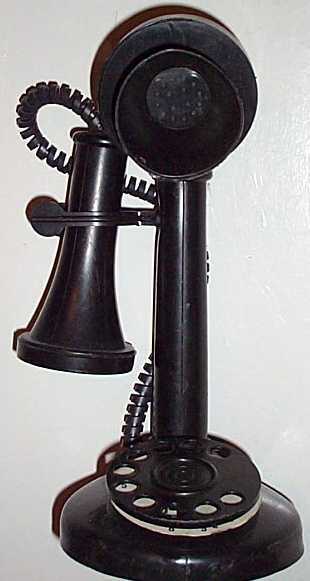 I vaguely remember having a toy phone like this, I couldn't have been very old. My brother got this for Christmas one year. You can just pick it out in the photo of him at Christmas. 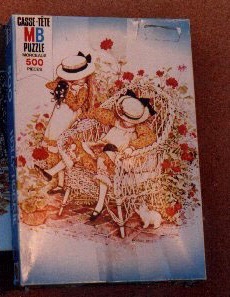 We did the puzzle so often I think we could do it with our eyes closed. 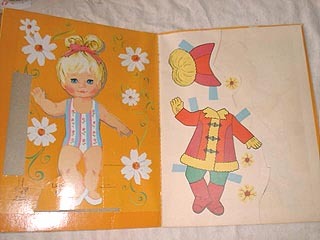 I vaguely remember this, I think my sister or my aunt owned it.